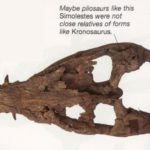 Simolestes has variously been allied with the Pliosauridae and the Rhomaleosauridae The most noticeable difference between Simolestes and the other pliosaur taxa from the Oxford Clay (Pliosaurus, Peloneustes), is the much shorter snout and mandibular symphysis in Simolestes, a character shared with Rhomaleosauridae. 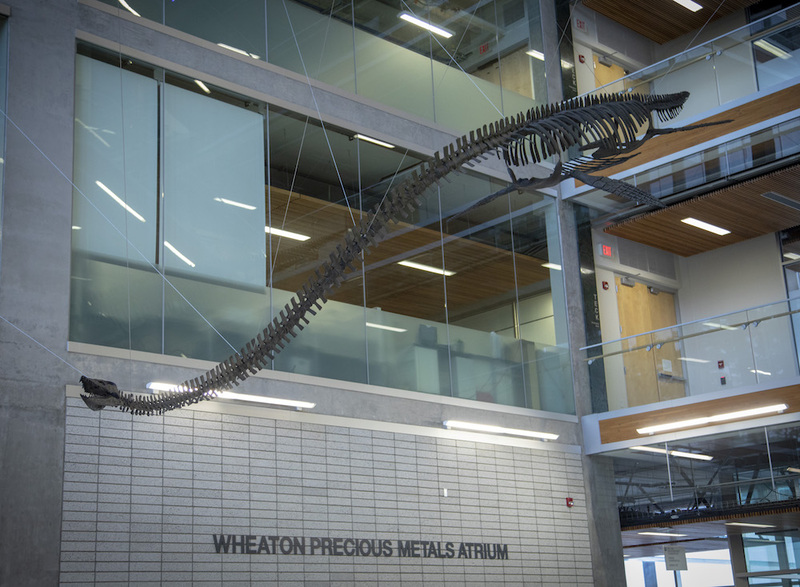 However, this is possibly a convergent character. 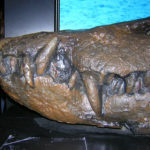 Old descriptions of this taxon make note of the spatulate symphysis and premaxilla with its “rosette” of protruding teeth, however it is now known from other specimens (such as the Peterborough specimen figured below) that this feature is a result of crushing. 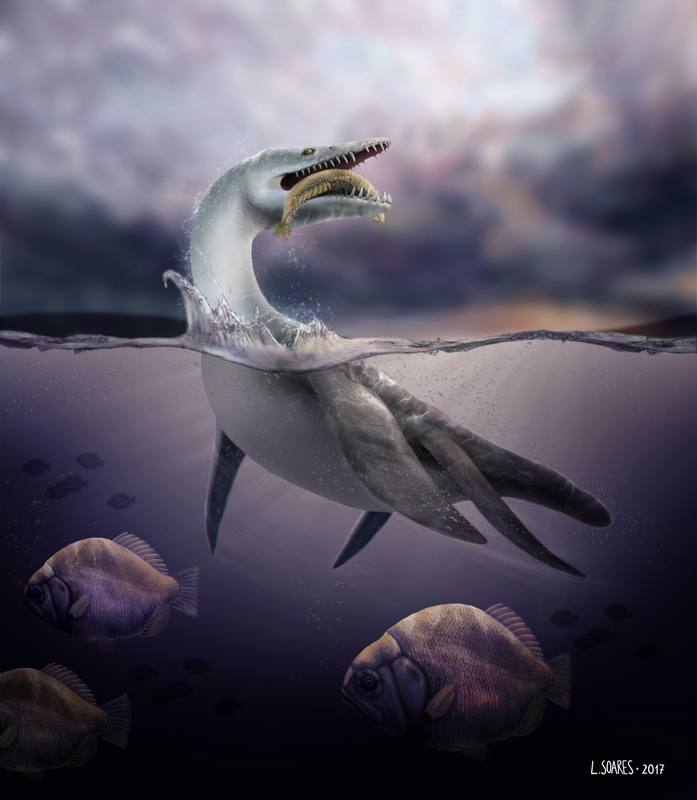 The teeth in pliosaurs were actually positioned much more vertically in the jaws in life. 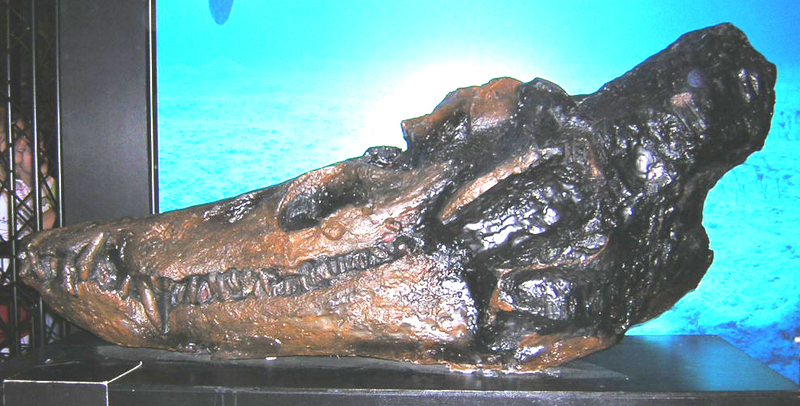 Simolestes novackianus was named by von Huene (1938) based on a mandible from Ethiopia. 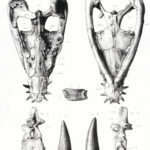 Tarlo (1960) noted that it differed only in the details of the tooth ornamentation but accepted its validity. 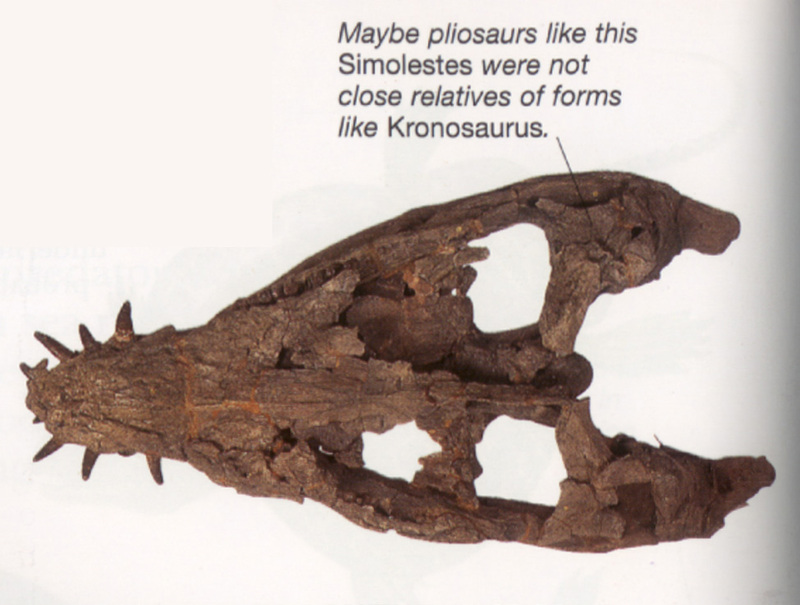 Later, Bardet and Hua (1996) recognised that Simolestes nowackianus is actually a teleosaurid crocodile, the species therefore does not belong to Simolestes. 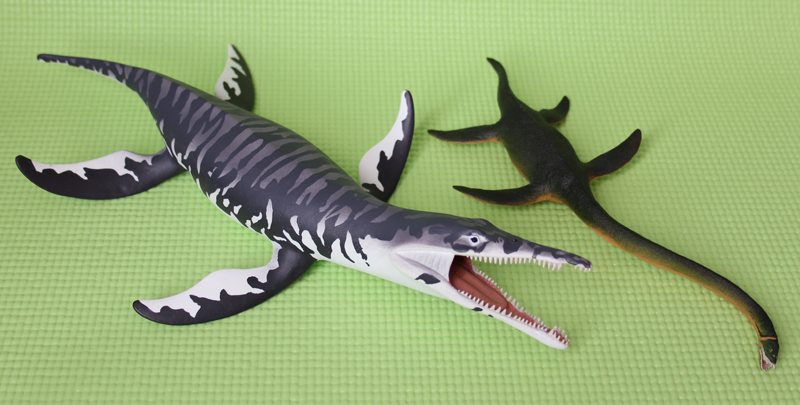 Bardet et al (1991) referred another species to Simolestes in 1991: S. indicus is from India and was described by Lydekker in 1877 who originally referred it to Plesiosaurus and later to ‘Thaumatosaurus‘ (Rhomaleosaurus). 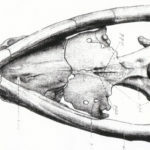 S. indicus differs from other species of Simolestes in having equally sized tooth alveoli in the symphysis (in other species alveoli 3 and 4 are enlarged) and a “peculiar symphyseal protruberance” (Bardet et al, 1991). 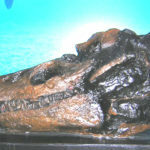 The species Simolestes keileni was introduced by Godefroit (1994) for a fragmentary specimen from the Bajocian of France. 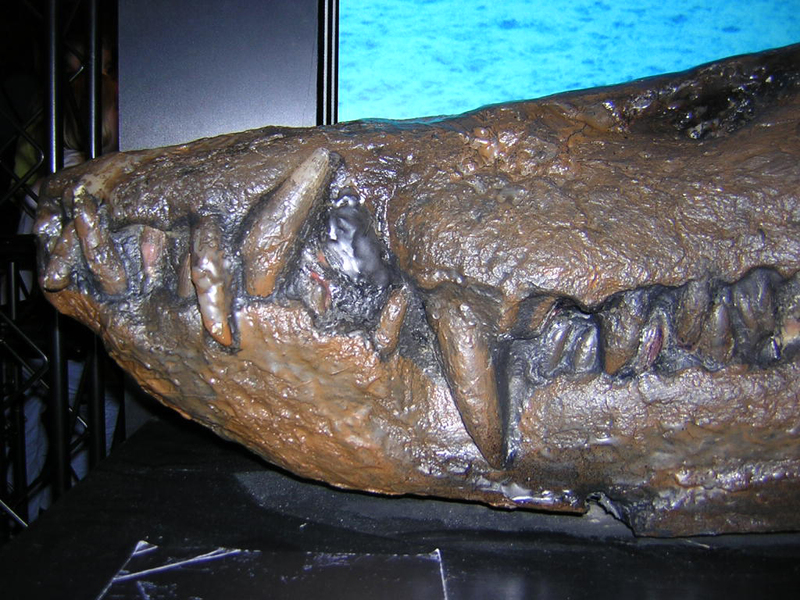 This species differs from other species only in its tooth crown ornamentation. 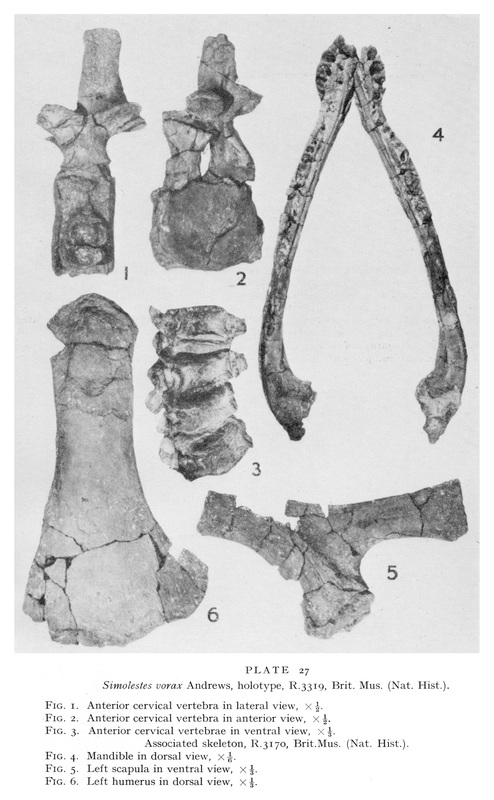 The type specimen is an almost complete, but crushed, skeleton in the Natural History Museum, London (NHMUK R. 3319). 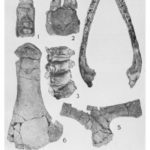 Material referred to Simolestes is known from the Callovian, Oxford Clay, Peterborough, England; from the Callovian and Bajocian of France, and from the Tithonian of India. 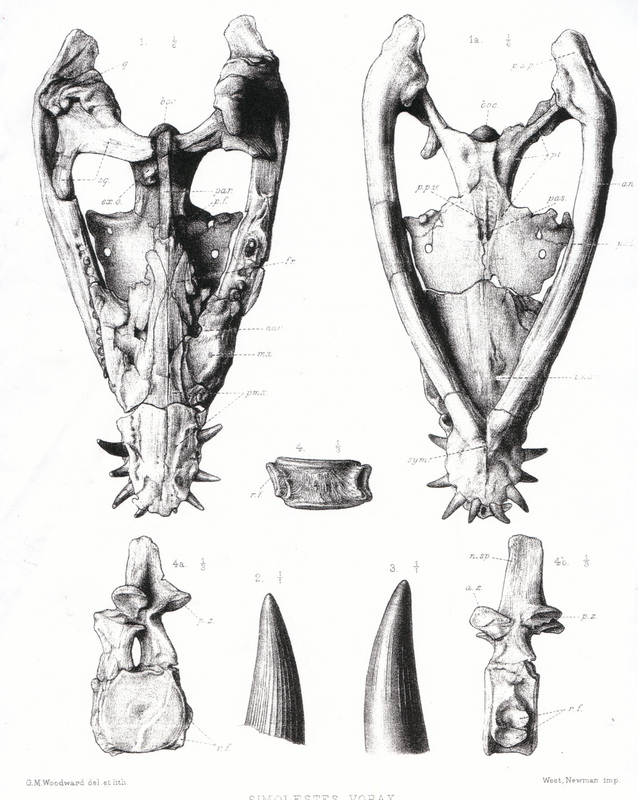 Skull of Simolestes in dorsal and ventral view, a cervical vertebra in various views, and a tooth. 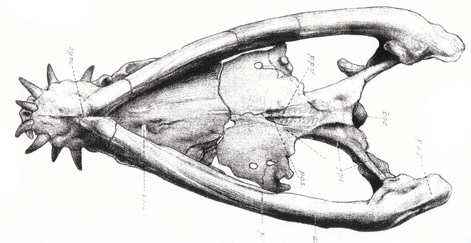 From Andrews (1913).